Italian author Umberto Eco presents his new novel Numero Zero during a signing session on May 12, 2015, in Fnac des Ternes, in Paris. 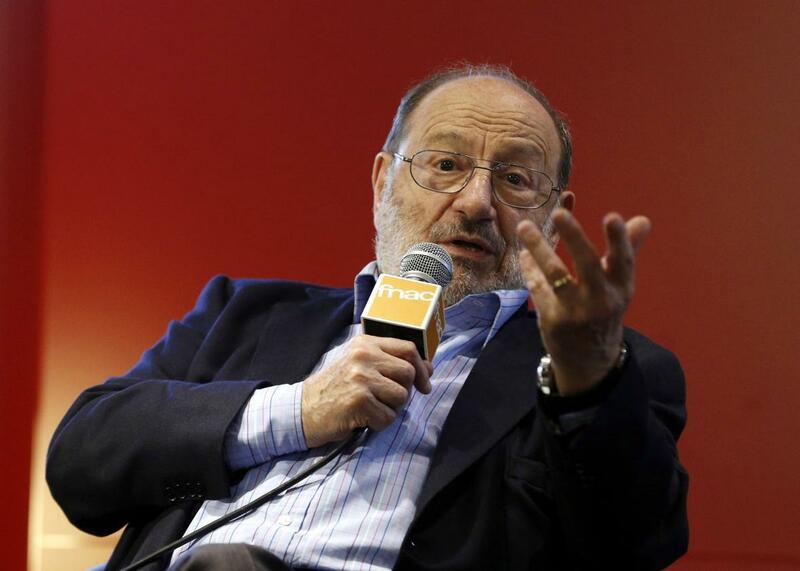 Celebrated Italian intellectual Umberto Eco, widely considered to be one of the greatest writers in modern literature, died late on Friday after battling cancer. He was 84. Tributes quickly poured in from around the world for the scholar who became famous when he suddenly decided to write a novel in 1980, The Name of the Rose, which was made into a movie starring Sean Connery in 1986. Eco, a semiotician, cultural critic, philosopher and essayist was one of the rare breed of public intellectuals who was respected both for his academic work as for the novels that he once described as what he liked to write on weekends. The scholar’s interests were amazingly broad from the obscure to popular culture and he analyzed everything from James Bond to the Internet.